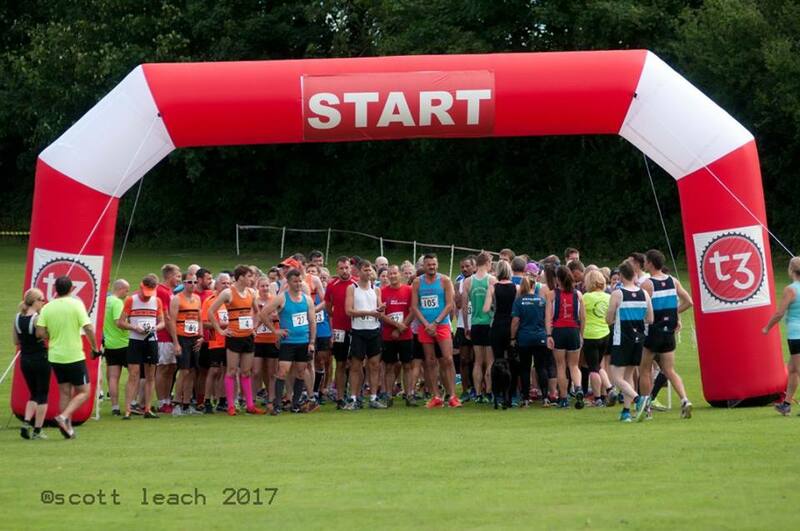 Sunday the 16th of July was the day Bramham Village staged its second 10k road/trail race. 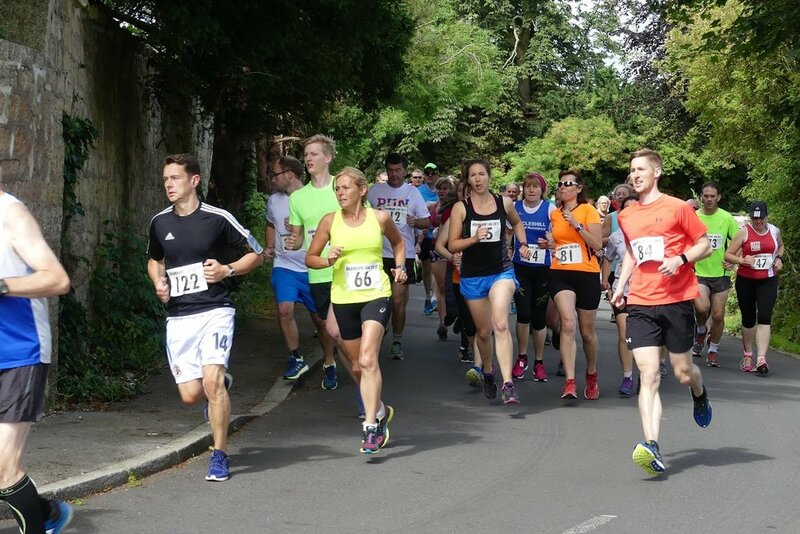 Runners joined the race from Durham, Thirsk, York, Sheffield and many other surrounding towns and villages to take place in this race that was described by one runner as "A proper race with a fun run wrapper". 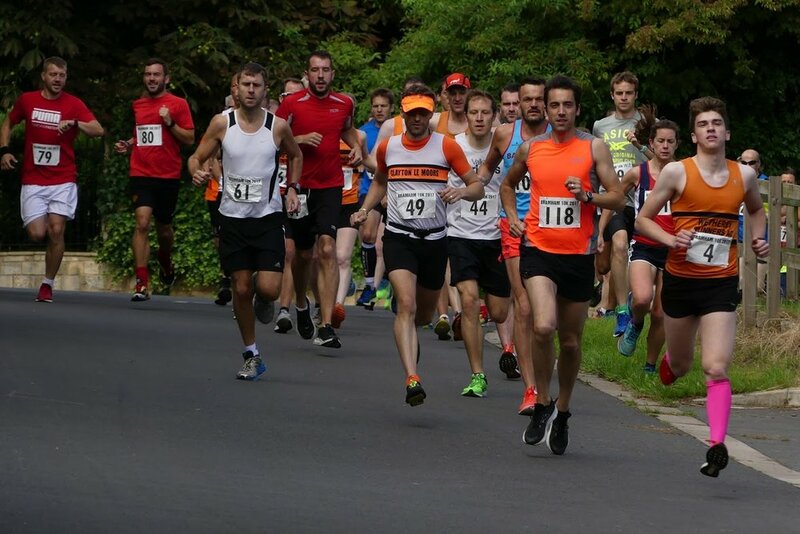 132 runners signed up to run the 10km course around the trails of Bramham and Headley before returning to Bramham up Heygate Lane, down past the church to end on Almshouse Hill now fondly known as The Bramham Beast. The Community Spirit was incredible as 50 volunteers from the village all did what they do best in creating a wonderful atmosphere as Marshalls and volunteers. The "cafe" was non stop serving bacon butty and cakes, the ladies in the cafe did an incredible job and made a profit in excess of £400. That is a big profit for a little cafe! The first man home was John Wills, in an impressive 35:49, and the first lady was Margaret Beever from Stainland Lions RC, in an equally impressive 40:30. ‘Bubbling’ prizes were donated by The Passion Group and presented by local sportsman Rich Beck of Yorkshire Carnegie. Runners told us that what makes this run special is that it is a friendly village run, put together and managed by volunteers, with locals coming out to cheer them on. It’s a fantastic team effort and all of us who made it happen are thrilled to have put on such an event in Bramham. As with last year we really appreciated help with loan of equipment from Tadcaster Tri Club and Otley RC, and our super local sponsors, APC Clothing, The Passion Group, 2h Storage Solutions, and Sainsburys of Tadcaster. 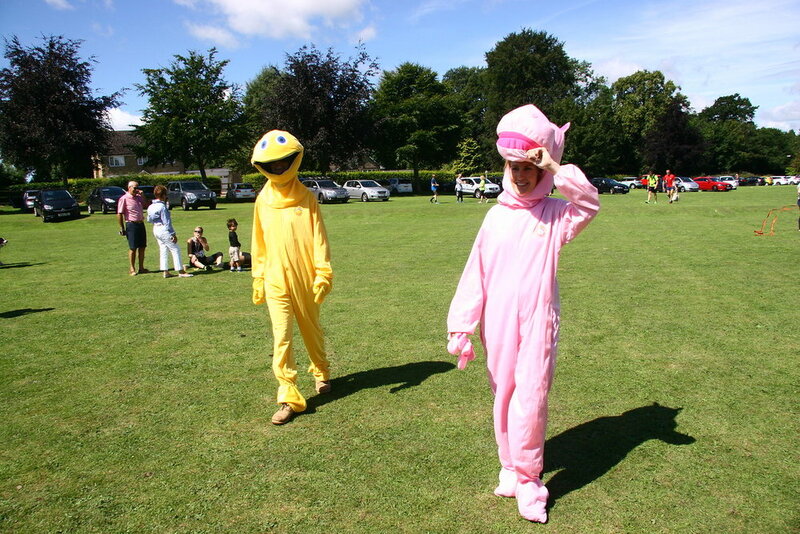 To make it a real family day, Friends of Bramham School put on an exciting Fun Run and obstacle course for the children to complete, dodging the water spray guns as they went! Almost 100 children entered, and having had their faces painted and warmed up with our Minion, they completed as many laps as they could. All the children received a medal, a certificate, a drink and a treat at the end. The smiles said it all! Local photographers Scott Leach, Andrew Beck, Stuart Gregory and Philip Bland recorded the fun and hard work! 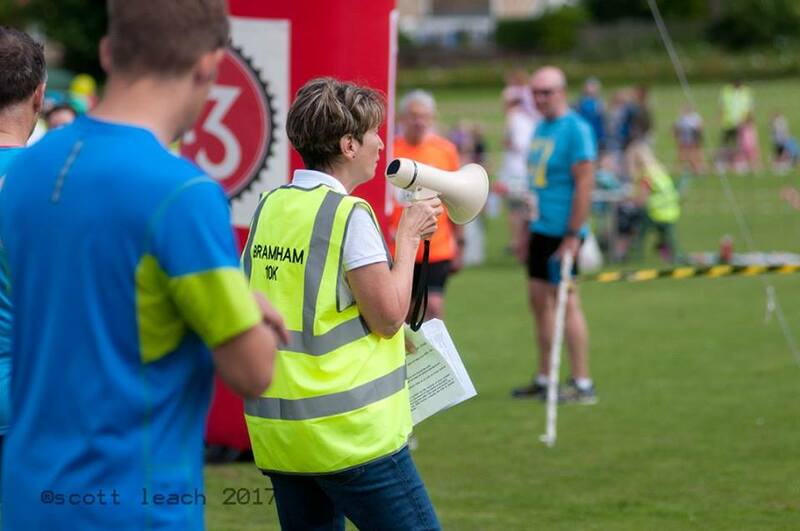 Val Whitbread was Race Director and the person who decided to launch this event in 2016. The event last year raised over £800 and this year will be in excess of £1000. 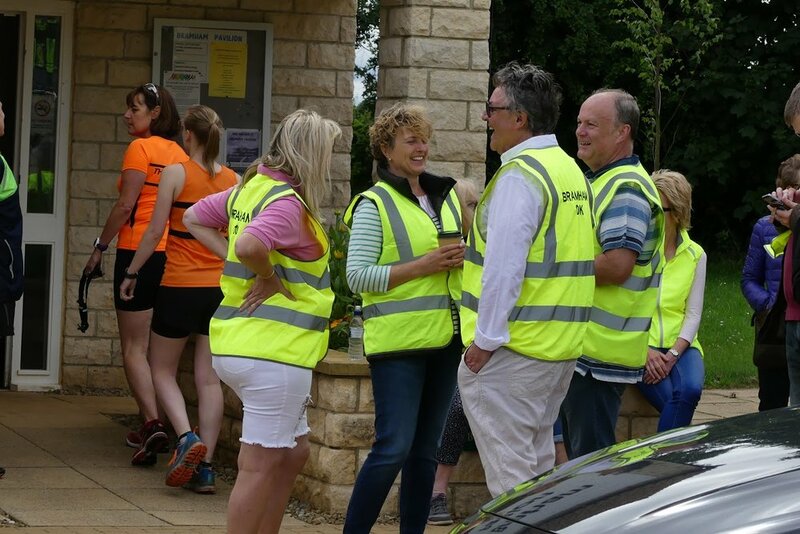 A wonderful village event promoting health and fitness in our village and a great fundraiser too as proceeds of the 10k will be an enormous help towards maintaining Bramham Pavilion, but most of all we’re delighted to have created a fantastic village event. It was a very special day for Bramham, and we’ll be back next year!